The latest addition to our playful Knect4 range! 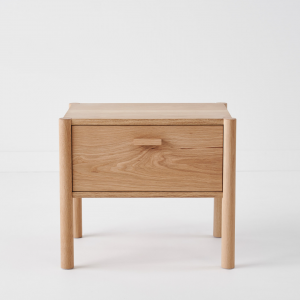 The Knect4 bed side table is as cute as it is safe. All corners are rounded for a soft feel and the depth of the cube makes for a lovely storage space for all your child’s little treasures or bed time story books. Lead time: if ordered on its own 4 week lead time. If ordered together with our Knect4 Bed, 8 week lead time.